Following reports that Singapore’s government is focusing on creating a ‘local core’ workforce, more firms in the island nation have taken to up-skilling their existing workforce. According to a new set of statistics released by the Ministry of Manpower, 82% of private firms provided structured training to at least one staff in 2014. The percentage was an increase from 71% in 2012. From these companies, an average of 56% of employees have received training. Of the training provided, classroom training was the most common (83%) across all industries. 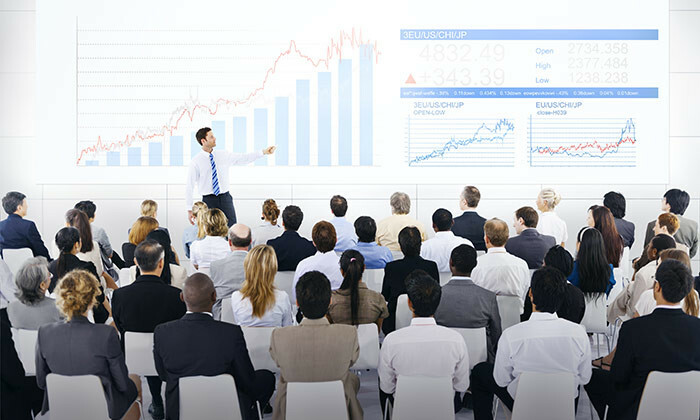 This was followed by conferences, seminars and/or workshops (55%) which were more prevalent in the financial & insurance services, professional services and information & communications industries. Structured on-the-job training (45%) was the third most popular type of training provided. Human Resources reached out to John Augustine Ong, the Singapore learning lead at ANZ, for his take on structured training and factors contributing to its rise. “Structured training takes the guesswork out of any development activity within the organisation. Rather than leave it to chance and the discretion of their managers, it allows management and HR to adopt a much more strategic and targeted approach towards the planning and execution of the development of their workforce in terms of the capabilities and competencies they want to focus on,” Ong commented. He feels that with structured training, there is greater transparency around what learning opportunities are available to staff as they advance within the organisation, based on their job roles and families. “It is also great for staff retention as employees tend to better engaged knowing that that there is a development plan aimed at enhancing their skills and capabilities as they advance in their careers within the organization,” he said. The report noted that following the enhancements to training subsidies for small and medium enterprises (SMEs), 78% of the smaller firms (25 to 99 employees) and 90% of those with 100 to 199 employees provided training to staff last year. Due to industry-specific requirements on compulsory courses or certification, employers in the construction (96%), financial & insurance services (90%) and manufacturing (84%) industry were more likely to send their staff for training. On the other hand, the report noted that firms in wholesale and retail trade were less likely to send their employees for training (70%). ALSO READ: Are you really giving your staff the training they need? It was noted that of the occupational groups, firms were more likely to commit to training PMETs (10%), compared to 7% to 8% of other occupational groups. All these training amounted to an average expenditure of $726 per trainee (or $410 per staff) in 2014, up from $717 per trainee (or $407 per staff) in 2012. However, after subtracting training grants and subsidies, the final expenditure was $636 per trainee (or $360 per staff), similar to 2012 ($641 per trainee or $362 per staff). Top motivations for employers to send their staff on training this year was increased government subsidies (67%) and better workload management (65%), similar to in 2012. Indeed, Ong felt that the Singapore government has played a large part in encouraging structured development for employees here in Singapore through agencies such as Workforce Development Agency (WDA), in their development of the Workforce Skills Qualification (WSQ) framework. “Companies have benefitted from the WSQ framework to strengthen their own internal training plans and capabilities. In addition, the generous training grants and subsidies available in Singapore has encouraged greater take-up rate and participation from companies to leverage on this opportunity to develop their staff. Echoing his views, positive impact was reported after training, especially on employees’ skills level (92%), work efficiency (83%), quality of services (78%), ability to meet changing/future needs (65%) and job responsibilities (70%). Ong noticed that employees would rather choose to work for companies well-known in providing training opportunities for their staff, rather than companies which do not focus on learning. “Thus, companies are well aware that a structured training framework enhances the appeal of an organisation in their attracting and retaining of talent,” he added. Malaysia will be hosting the e-commerce giant's first overseas e-hub called the electronic world trade platform. ..